OFFICIAL:005A - SECRET HERO & LETHAL ONE - "NO DEMOCRACY"
There have been 23 camps to resist extreme energy extraction including fracking in the UK, and many more to come! Current live camps are Kirby Misperton, Leith Hill, Blackpool and Fylde, and Woolston and Thelwall. The oil and gas industry expect to return to many of the sites below. We must keep up the resistance! Camp was set up in July 2013 to protest Cuadrilla’s plans to exploratory drill for oil and was there for nearly 3 months. There is now an injunction near the site to stop the return of a camp. Cuadrilla can return giving 6 weeks notice to residents to start flow-testing. Known as the ‘Gatwick Gusher’, a small camp was set up to slow walk lorries from UKOG contractors in October 2014. On return to the site for further testing in February 2016 a larger camp was set up for 6 weeks. UKOG plan to start further flow testing in April 2017. Camp occupied land in October 2016 to oppose Europa Oil but have been served an eviction last month which can take place any day now. A small camp set up in December 2016 to slow walk the lorries against Angus Energy to drill an existing oil field with a new permit for extreme energy extraction. They will commence drilling in a few months. Camp was set up in September 2016 to occupy the land until the deadline for work by InfraStrata which expired in December. Set up in October 2014 to oppose Edgon Resources drilling to see if oil could be extracted. There wasn’t any and camp disbanded in November. Camp was set up in March 2014 for 6 weeks to oppose IGas test drilling for coal bed methane. 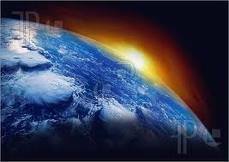 The site is currently suspended and unknown if and when they will return. Camp was set up in August 2014. In July 2015, the access license with the landowner lapsed and he refused to renew it. Igas dropped the licence due to wrong geology. Camp set up Nov 2013. They had some of the worse winter conditions to endure. IGas completed their work in Mar 2014 and the camp left in April garnering great community solidarity. IGas claim they have no plans to return to the site and the frontline protectors in the movement, also affectionately known as the 'investor removal team', have made them practically bankrupt. Set up in Jun 2014 again against Igas drilling for coal bed methane. The camp was evicted in Sept 2014. IGas plan to drill in future for CBM. Was set up in Sept 2014 against Igas’s exploratory drilling for gas. The camp was shortly burnt down by unknowns after it was served an eviction. No one was injured. Set up in February 2014 for a month to protest Dart Energy to look for coal bed methane. There is no information on IGas site who acquired Dart in 2014. A camp set up by the Nanas at Preston New Road for a short time in Blackpool. Reclaim the Power held their August 2014 Direct Action Camp in the same field. A small camp set up Feb 2016 for a few weeks with protectors from the Upton Camp. IGas confirmed it has no plans to drill there and the camp disbanded. UCPC was set up in April 2014 by undisclosed individuals who recognised the opportunity of occupying the drill site prior to works commencing, and it was finally evicted and demolished on January 12th 2016. 175 police officers from four forces were involved in the eviction of the camp but on 5th February, IGas, announced it had abandoned plans to drill at the site because the coal bed methane was not commercially viable. They refused to assist with policing costs. It was the first fracking site in the UK where the tactic of occupying the land before drilling was employed and has since been replicated elsewhere. It was also the longest running anti fracking camp in the UK prior to its demise and won the award at the Climate Games in Paris in Dec 2014. Set up in April 2015 protesting Edgon Resources drilling for oil. They remain on site despite being issued with an eviction order in May 2015. Still going strong. Igas had not released any plans for the site. Set up in March 2015 for a month, to resist Europa Oil & Gas and Egdon who said well was not successful. Camp set up in December 2015 after the judicial review failed to stop Third Energy from fracking there. They expect to frack in April 2017. Camp set up in April 2015 to oppose Rathlin Energy plan to frack shale gas. Due to incident in August 2015 that resulted in an emergency well shutdown, 2 of the 3 tests that were planned (including the mini-frack) were abandoned. Another camp was set up in August 2015 to oppose Rathlin Energy to explore and test for oil and gas. The camp disbanded in October 2015. Rathlin will return once all permits have been acquired. Set up in October 2014 against Dart Energy (acquired by IGas) drilling for shale gas. The camp was evicted November 2014, but a site directly opposite had already been occupied and a new camp was set up immediately. In June 2016 the PEDL licence for Wrexham, as well as several others, was dropped by the Oil and Gas Authority. 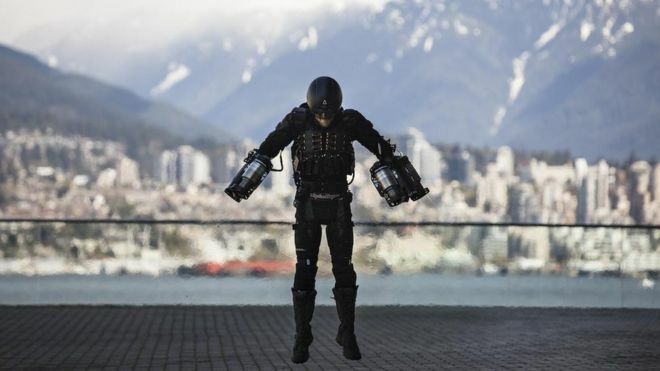 A British inventor, who built an Iron Man-style flight suit, has flown it at the Ted (Technology, Entertainment and Design) conference in Vancouver. Richard Browning's short flight took place outside the Vancouver Convention Centre in front of a large crowd. 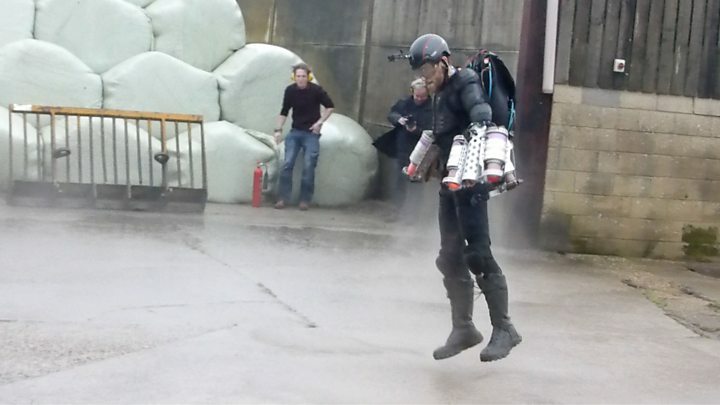 Since he posted the video of his maiden flight in the UK, Mr Browning has had huge interest in his flying suit. But he insists the project remains "a bit of fun" and is unlikely to become a mainstream method of transportation. He was inspired by his father, an aeronautical engineer and inventor, who killed himself when Mr Browning was a teenager. 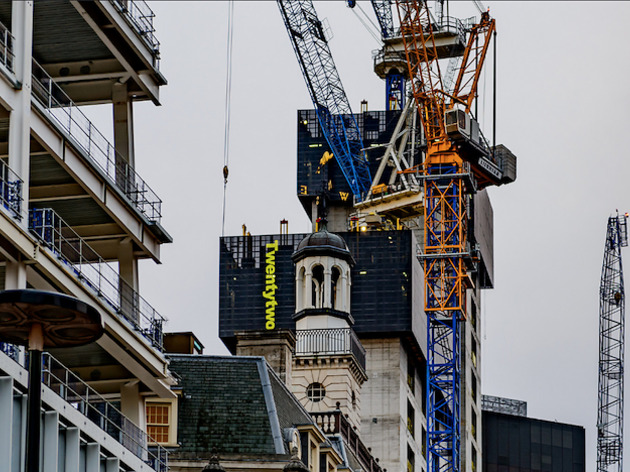 Cranes, scaffolding and hoardings advertising exclusive pads are a common sight around the city, but how many of these new builds actually become homes for the people who need them? Not many, according to new figures released on the number of unsold, empty buildings dotted around the city, which has now reached record levels. Recently we brought you the news that house prices have risen by £105 a day in the last five years and if you’re thinking of flying solo you’ll need a whopping £40,000 to rent a tiny space. So it shouldn’t come as a surprise to hear yet another unhappy housing story (though it’ll still make you swear loudly and cause tutting sounds as you weep into your cereal). The number of residential homes under construction and yet to find a buyer soared from 25,000 to 27,000 units by the end of 2016, according to data released by Molior London. And all of that unsold property comes with a hefty price tag. A separate study by Composite Door Experts found that some 20,000 vacant homes around the city have a combined value of £11.7 billion (!). These are homes that have been empty for six months or longer. The biggest culprit for ghost-homes was the borough of Kensington and Chelsea, which is harbouring 1,399 empty properties. Ican’t understand this housing crisis. Nobody needs to be homeless. We have 200,000 empty homes in England, with 4,297 in Birmingham alone. And that’s only the houses. There are countless empty cinemas, theatres, hospitals and stations that have been derelict for decades, and probably a few bunkers if you’re worried about nuclear holocaust. What a waste. Within 30 minutes’ walk of my home, there is a huge theatre (empty since 1989), a hospital (empty for decades) and a nursing home (empty since 2003), all sitting rotting while dithering owners make up their minds what to do with them. Imagine what perfect flats, hostels, community centres and shelters they could have made in the meantime. 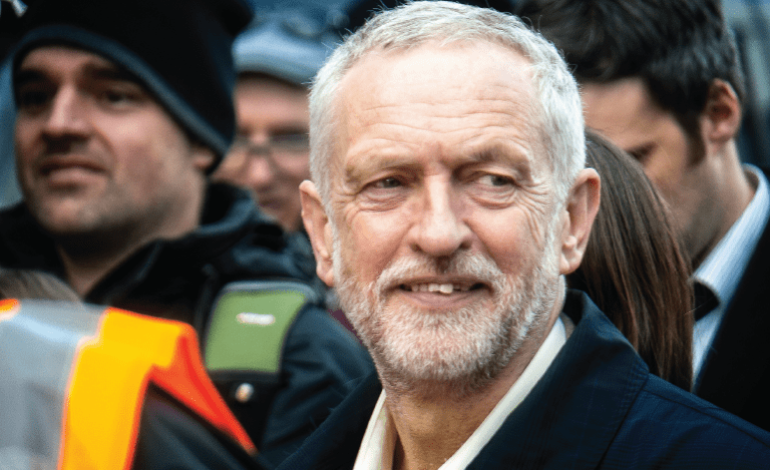 Jeremy Corbyn has announced one of his first moves if elected Prime Minister. The Labour Party would transfer power from bosses to ordinary people by immediately repealing the Trade Union Act. The act makes it much easier for bosses to take advantage of employees. So it’s no wonder Conservative figures are out smearing the leader as a national security threat. 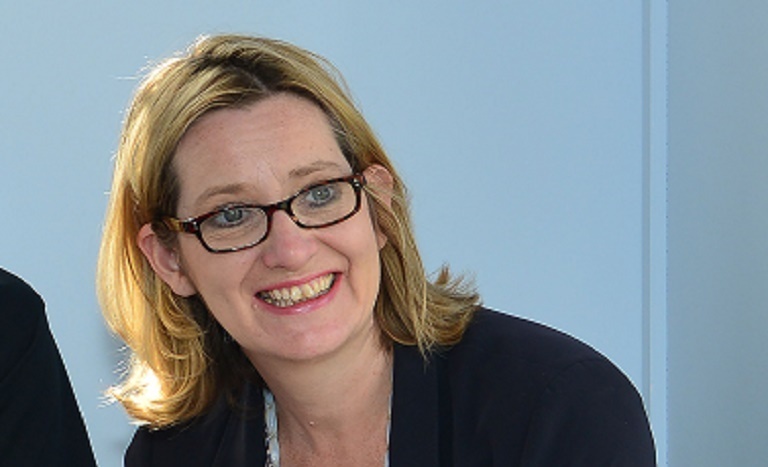 Home Secretary Amber Rudd was one of the original MPs named in the Tory election fraud scandal. And she is in for a nasty surprise during her general election campaign. Because she will be forced to debate the issue live, in front of the public – whether she likes it or not. 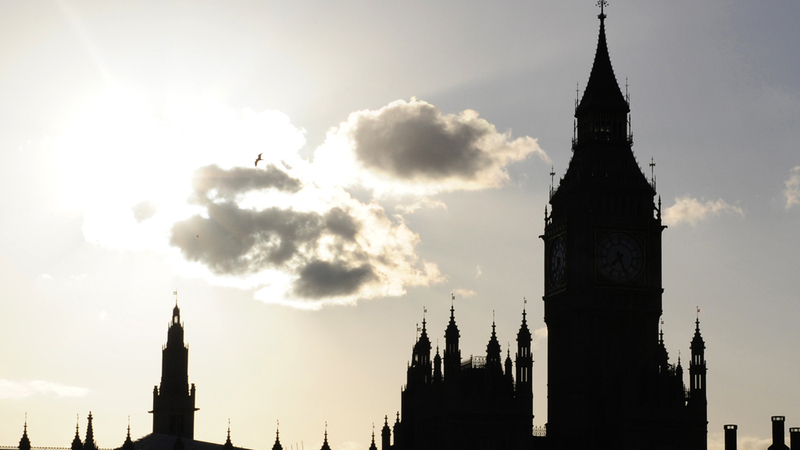 Criminal charges against more than 30 people, including a raft of Conservative MPs and their agents, are being considered by the Crown Prosecution Service over election expenses at the last general election, Channel 4 News can reveal. It is not possible to say how many are MPs and how many are agents but it is understood to be a large number and it is believed that the possible prosecutions will be of MPs and election agents. The news comes as Prime Minister Theresa May today called a snap general election. Chill & Dub Mix - enjoy!! !